Guys don't rush to play anything... They just trying to fix the problem and it is normal for the game to be on and off... Until they said that the server is officially ON then don't do anything or you may just waste your energy. They DID update their official message with “service has been restored”. What else do you expect people to be waiting for? The question is will they provide compensation for the missed opportunities experienced by players? When I first started the game, they provided some compensation with unexpected server outages and it was greatly appreciated. However, the last few months they have provided nothing during similar circumstances where they previously compensated players. Just an observation. 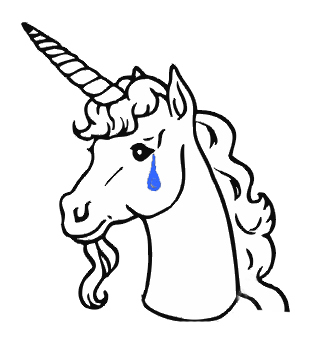 I missed out on main energy and ship energy ... I assume this will be compensated? The least CG should do. I think we're supposed to wait till they say its ok to play. I think it was a little premature. 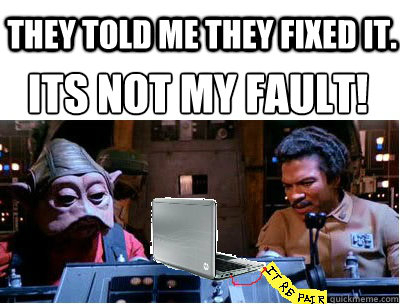 I believed them when they said the issue was fixed. Now not getting credit for TB victories. Argh! 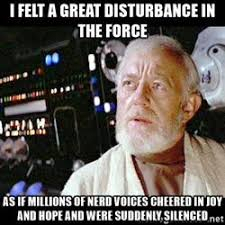 There are definitely still issues going on. 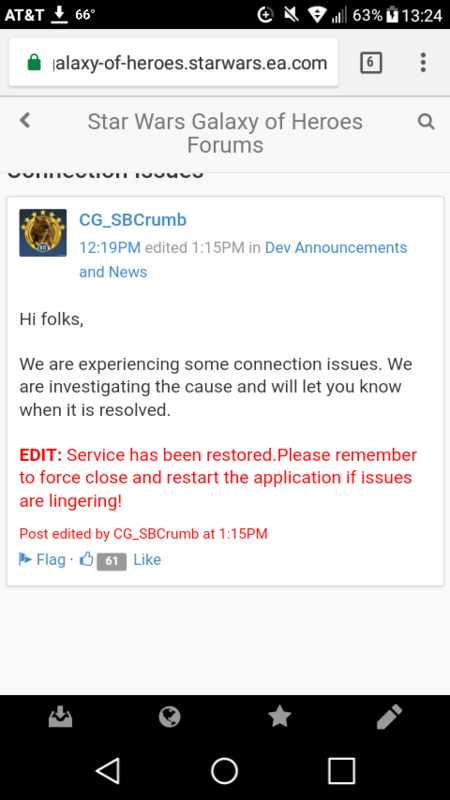 @CG_SBCrumb Fix didn't take. May want to update the server status post. 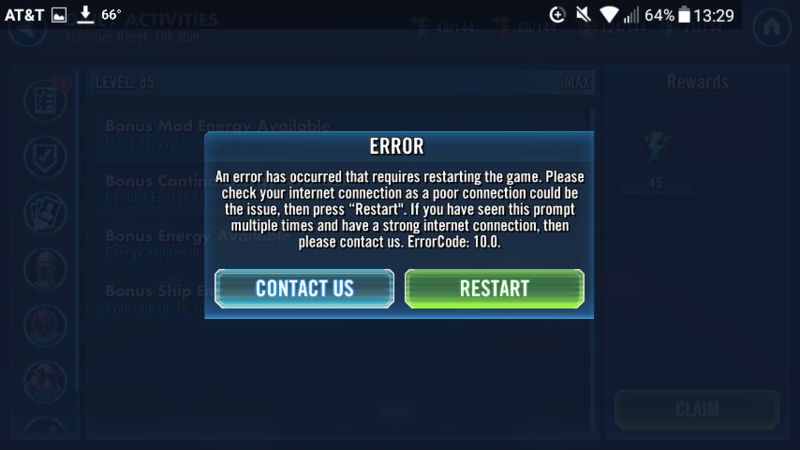 Still crashing every time I go to fleet arena. @jfears2 Welcome to the forum. 500 crystals and 100 shards for each KOTOR character would be fair compensation right? I’m allowed to dream aren’t I? Not if you quote yourself. Down again. Next time, use the good duct tape. While you're fixing the game, how about fixing the seemingly never-ending issue of push notifications about filled energy after I just spent it all? Usually when they said "service has been restored" you need to wait another 10-30 min. to make sure that it will be stable, because the game right now is not stable. Or you did not notice anything? The game is not lagging and crashing right now? If so, then you are the lucky one. Dang.... I'm off to get some wings & beer! #brewdogbaby!!! No, they said it was restored. How would you like it if your mother was in the operating room, doc comes out and tells you "op is over, she's totally fine", but she dies 5min later? Didn't like that? Well yea, none of us do. If you had gotten your energy, you might have lost it due to forced restarts during battles Happened to me several times in a row just now. Not funny, CG, it's been more than an hour. And during the only time a good chunk of players can play/have their payouts and refreshes.